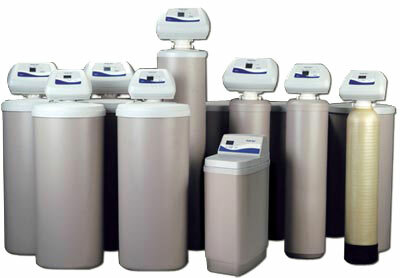 When it comes to purchasing a water softener for your home, with the many options and models to choose from, it can be confusing and leave you wondering if you are choosing the right water softener for your area. That is why we have created this website, to provide you with a list of the very best water softeners on the market, as well as the top water filtration systems. Since, many homes that have hard water problems, will often benefit from having some type of water filtration system, whether it is an affordable water filter pitcher or complete whole house water filter. This Fleck water softener, is a terrific water softener, that can keep up with even the most demanding hard water problems. It comes with an impressive 5 year warranty on the valve and an even more impressive 10 year warranty on the tank. If your home suffers from hard water problems, then this is the solution for you. With top of the line technology built in, this Fleck 5600 unit, includes the latest in digital electronic metering. Meaning that it calculates your water consumption as well as time, in order to know when the optimal time to regenerate is. Whereas a lot of other systems, regenerate based solely on a period of time, which not only costs you extra money to operate, but is less efficient. The system has a generous 250 pound brine tank, that can hold salt or conventional potassium chloride pellets. 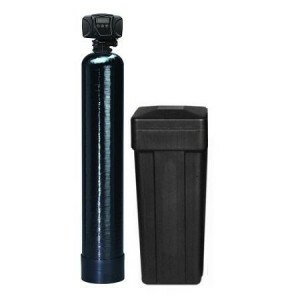 This water softener is a top choice, if you are looking for a replacement water softener or if you have a large family home and are looking to add a water softener to take care of hard water problems in your home. 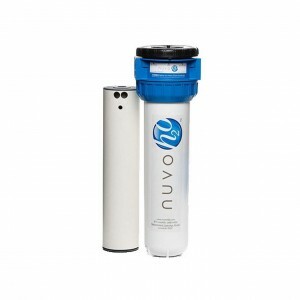 The NuvoH20 Manor system, is the top of the line saltless water softener on the market. Unlike a conventional water softener which relies on salt and a brine solution to clean the pellets in the water softener. This unique system, uses a environmentally friendly citric acid solution. The result is that it can eliminate hard water, without requiring the homeowner to constantly add salt to a brine tank. The system is extremely compact, making it ideal for condo owners and homeowners that don’t have a lot of space to install a regular water softener. The NuvoH20 system uses replaceable water softener filters, which can be replaced in under a minute without requiring any tools. Depending on which system you purchase, you only have to replace the filters every 2-3 months, whenever you notice a change in the taste of your water, which is a huge convenience and cuts down on maintenance. Not only that, the systems work on water pressure alone, so you don’t have to worry about having an electrical connection or hiring a plumber to install the system. Not only that, should you decide that you need help with the installation, the company has a number of information videos or they can even send an installer to your home for just a few hundred dollars if you find out it is a bigger job than you want to tackle or if you just want to have a professional install it for you. 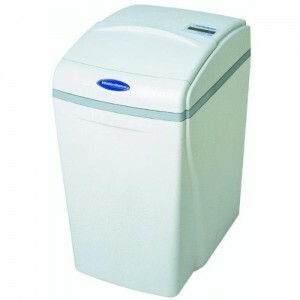 The WaterBoss 700 is a great water softener that comes from a trusted leader in the water softening space. The system is designed for medium sized family homes, and is extremely efficient boasting a super quick regeneration process that takes just 16 gallons of water and is completed in 18 minutes using just 2.5 pounds of salt. It is a simple single tank system, that can be installed in just a few hours by the average homeowner. And since WaterBoss water softeners are widely available, if you need replacement parts, you can get them quickly from the manufacture or various plumbing supply stores. Though for the most part, these water softeners are virtually maintenance free, except for adding salt and checking on the units periodically. Water softeners work by getting rid of calcium and magnesium, that can not only be found in well water, but also in city water. Virtually all water softeners work by the same principle of exchanging minerals for something else, in most cases sodium or salt. The process by which they work is known as ion exchange. Homeowners will install a water softener in their basement or in an area where the main water line comes into their home or condo. Since calcium and magnesium when suspended in water, both carry a positive ion charge, this means those minerals will cling to polystyrene beads which carry a negative charge. Since sodium or salt ions also have a positive charge, when salt is flushed through the brine tanks, the magnesium and calcium ions are forced off the polystyrene beads in the brine tank. Calcium and magnesium in water both carry positive charges. This means that these minerals will cling to the beads as the hard water passes through the mineral tank. Through the regeneration process, the minerals are forced off the beads, and bond to the sodium and the solution is flushed down the drain. And the brine tank is refilled with fresh solution. For the average homeowner, you really don’t have to be concerned with how a water softener operates, since it will do this all automatically, however it never hurts to understand how it works. The main thing you want to be aware of is when you need to add additional salt to the tanks. Many of the systems we have reviewed, include state of the art electronic LCD control panels, which make monitoring and maintaining these systems effortless. There are many different water softener brands and models on the market, that is why we have compiled the following list to help you select a good water softener for your home. So that if you need maintenance or support with the unit, you can be sure the water softener you have chosen, is from a reputable company that you can count on being around for the next 10+ years. Fleck – Is a well known water softener and valve manufacture, the company has been around for over 30 years and is a well trusted brand by homeowners as well as professional plumbers. Waterboss – Has manufactures a wide range of conventional water softeners, they have been around for years and are well known by professional plumbers as well as homeowners. If you purchase a waterboss softener, you can be sure that if you should have any problems, you can contact the company or order a replacement part for your unit. Morton – Morton water softeners and morton salt are staples in the water softener market. Morton salt is one of the leading supplier not only of salt pellets, but also table salt and a variety of other salt products. Northstar – Northstar has been manufacturing water softeners since 1925, which is a very long time. They are recommended by professional plumbers and many homeowners have had Northstar water softeners for well over a decade before having to replace the units. NuvoH20 – NuvoH20 is a relatively new company, however they are widely trusted and known for their unique saltless water softeners. They are one of the top saltless water softener brands on the market and you can be sure that they will have replacement filters for a long time. Since the units have no mechanical parts, they are easy to maintain and will last you quite a long time. The most visible indicator of whether you have hard water or not, is if you notice a hazy residue on your kitchen or bathroom faucets. Another indicator of hard water, would be if you notice soap scum buildup that seems to never come clean, no matter how often you wash it off. Or if you notice water spots left on your silverware, glasses or other kitchen unticils after removing them from the dishwasher. How Do You Test For Hard Water? If you are not sure if you have hard water or if you want to test your water quality. You can purchase an easy to use test strip system, where you take a small sample of your water and can test not only for contaminants but also the hardness of your water. 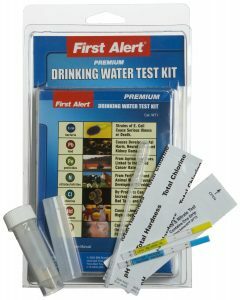 For instance, this first alert kit can test for bacteria, lead, pestacides, nitrates, chlorine, pH as well as the hardness of your water. Using a home water testing kit, is extremely easy all you have to do is take a small sample of water using the included dropper and place it on the test strip and take the reading. Though as we mentioned earlier, the simple visual indicators such as hazy residue on faucets, spots on silverware and glasses or buildup of soap scum are generally good indicators that you need a water softener. There are two main types of water softeners, that have been proven to work. The main type of water softener that has been around for 60+ years is a conventional salt based water softener. These types of water softeners are extremely efficient, though they are larger and do require electricity to operate. You also will have to constantly add salt to these units, which for some homeowners and condo owners can be a real pain, since the bags of salt often weigh 25+ pounds. Luckily there are new types of water softeners, which are saltless water softeners, these systems are great because they do not require constantly replenishing them with salt. Instead these systems use citric acid filters or saltless solution, to remove the hard water causing minerals from your water. Finally there are magnetic water conditioners and similar types of products. These are products we generally do not recommend and that don’t actually treat the root cause of the problem. Some homeowners claim they work and perhaps they do, but since the vast majority of plumbers won’t recommend them to their customers, neither will we. Hopefully you have a lot more information and are better informed of what type of water softener or water filtration system you need for your home or condo. Our main goal of creating this site, was to provide an easy to use guide for the average consumer or business owner, since there are literally dozens of manufactures of water filtration and water softeners and well over 100+ different models. Our end goal is to hopefully provide you with enough information to help you make an informed decision, but not an overabundance of information and models to make the decision hard.